My own personal skin journey began at 24, when I developed acne-rosacea. I tried to deal with the spots by covering them with concealer and hoping for the best but my confidence was knocked and I was desperate to find a long-term solution. By chance, I walked into a leading London skin clinic, which changed not only my skin but my entire career.. Taking the clinic’s advice, I overhauled my skincare regime and made changes to my diet and lifestyle. I was amazed with the results – so much so that I was inspired to quit my job to join the salon. 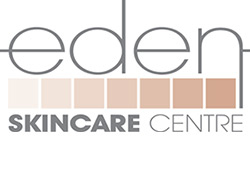 After four years of continuous learning, gaining many qualifications, I followed my dream to help others, opening my own salon Eden Skincare in Harrogate North Yorkshire, in 2003. Since 2003 I’ve seen the clinic grow and grow as my clients recommend me to others through word-of-mouth. 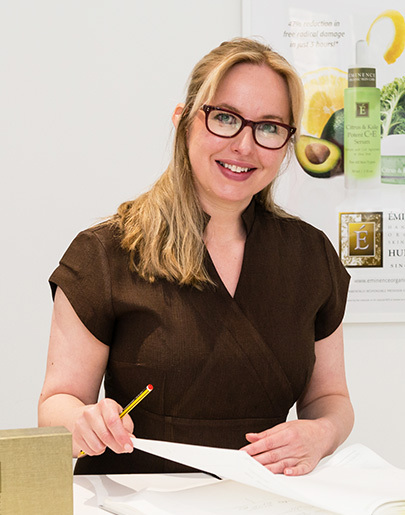 I’ve quickly become one of the best-respected skincare therapists and facialists in the UK, with clients often travelling from across the world to see me. My holistic approach encompasses not only skincare treatments but also aesthetics, nutrition, stress management, massage, reflexology and aromatherapy. My learning continues to this day and I’m fascinated by the latest scientific research into skincare and in particular how hormonal imbalances and the immune system affect our skin health. Guiding clients through their own skin journey with my knowledge and expertise in all things skin is my passion and it’s a real privilege that I can share my experience with you. My approach really sets me apart from other practitioners. I take a holistic view, looking at all aspects of your internal and external health and wellbeing. When clients come to see me, the first thing we do is conduct an in-depth consultation. I invest time in getting to know you, your lifestyle and all the different factors that impact on your skin health from your stress levels to your diet. This consultation is so important as it really pinpoints the factors that are shaping your skin. Everything from hormonal imbalances to the health of your immune system can have a big effect on the appearance of your skin. At my skincare treatment rooms in Harrogate, I have a huge range of innovative skincare products to treat different skin problems, along with cutting-edge machines that use the latest scientific advances to deliver effective results. Alongside facial massage, I might include reflexology, nutritional advice and stress-reduction strategies to improve not only the health of your skin but your overall wellbeing. As my clients tell me, the results really can be lifechanging.